SkinTools® is Genoskin’s patented do-it-yourself human skin biopsy culture kit. It simplifies the culture, treatment and manipulation of human skin explants. The SkinTools® kit contains all the necessary components to keep skin biopsies alive in a standardized model that allows for repeated topical and systemic applications. 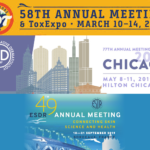 It not only provides a new means to avoid animal testing but also helps you obtain predictive and reproducible results from your lab’s biopsies. 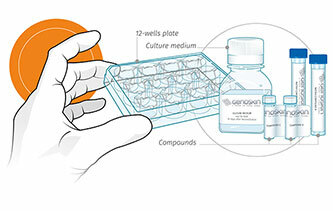 Genoskin mainly provides ready-to-use human skin models from healthy skin samples. 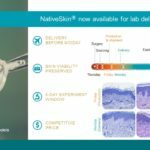 The newly launched SkinTools® kit allows you to create NativeSkin-like ex vivo human skin models in a few simple steps using your own lab’s skin samples. Your biopsies will show live skin response to the products and treatments of your interest. 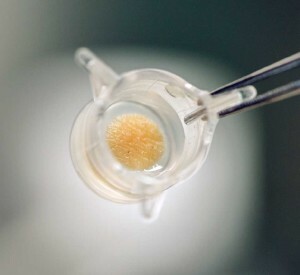 Our proprietary biological matrix and culture medium keep skin biopsies alive for 7 days after excision to allow for repeated testing and topical applications. In order to allow our customers to expand their research and include specific skin pathologies, the SkinTools® culture kit has been designed for both healthy and pathological human skin biopsies. It allows testing products and treatments on the skin type or disease that holds your interest. SkinTools® is very easy to use and provides a standardized approach for reproducible results. The kit contains Genoskin’s patented matrix, along with various compounds and detailed instructions for use. Just include the steps in our user manual in your testing protocol and you’re set to go. Another interesting feature is that the kit can be stored for up to 2 months before use. SkinTools® represents a highly predictive and cost-effective last-line screen prior to in vivo clinical trials. As your biopsies are kept alive under laboratory conditions, they hold the same characteristics and will show the same reactions as the original donor would have. 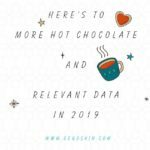 This opens up interesting new perspectives for therapeutic studies on a wide range of skin pathologies. Don’t hesitate to request our user manual or contact us for more information. Genoskin has many more interesting projects in store for 2017. Don’t hesitate to subscribe to our newsletter to keep up to date.